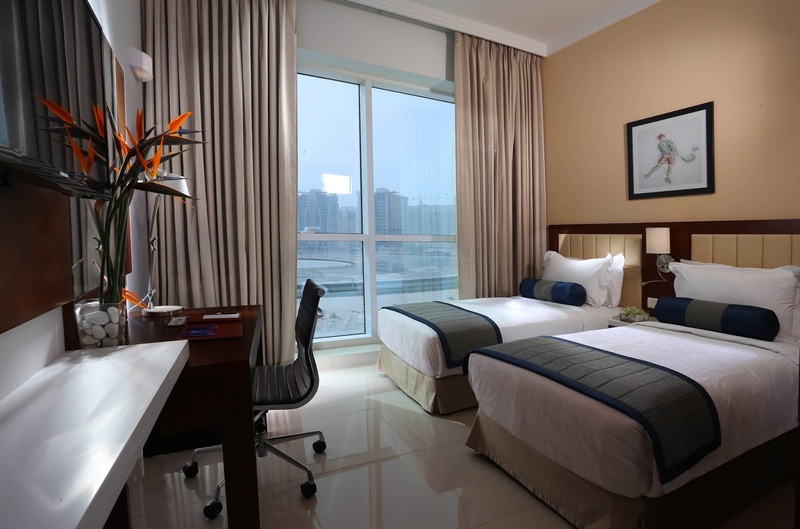 Founded on a sports tourism concept, newly opened Auris Fakhruddin Hotel Apartments is a property development of Fakhruddin Holdings and managed by Dubai based Auris Group of Hotels. The apartments are strategically located in Dubai Sports City, which is home to the international Cricket Council Headquarters, Dubai International Stadium, Spanish Soccer Schools, ICC Academy and the Rugby Park among other high performance sports training facilities. 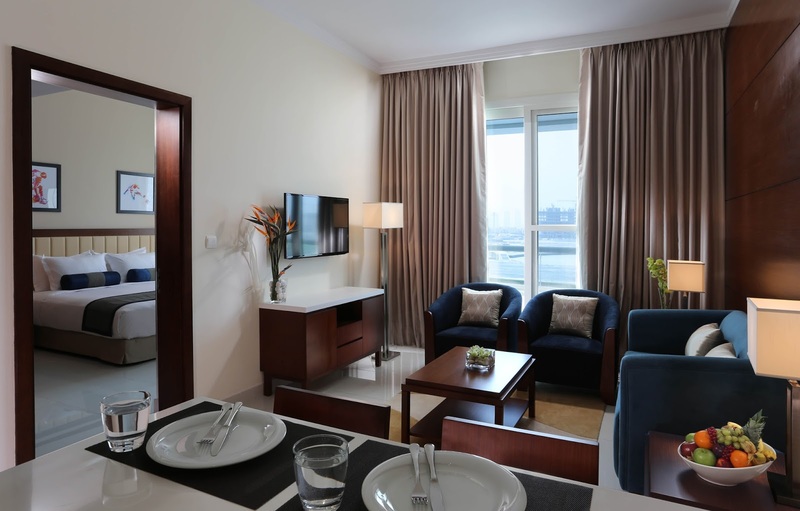 Auris Fakhruddin features 304 fully equipped apartments with a mix of studios, one and two bedroom deluxe apartments over 22 floors. From the rooftop pool area, you get excellent views of the sports arenas and surrounding residential areas that are perfect for an out of the city lifestyle. 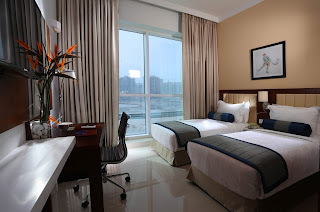 The hotel is a 15 minute drive from the Al Maktoum International airport and 40 minutes from the Dubai International airport with airport transfers services around the clock. The hotel was officially launched in June 2015 and has received a lot of interest from the sports community around the world. This is the premier hospitality property developed by the Fakhruddin Holdings having previously concentrated on building towers, villas, labour camps and warehousing facilities. 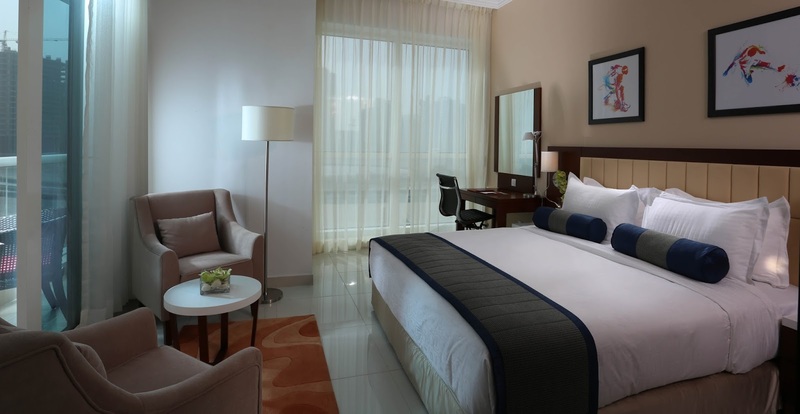 A launch into hospitality underscores the position of Dubai as a hub of travel, tourism and trade which has been consistently growing in recent years. The Dubai sports city development has particularly put the country on the global map as a favourite modern destination for sports professionals.